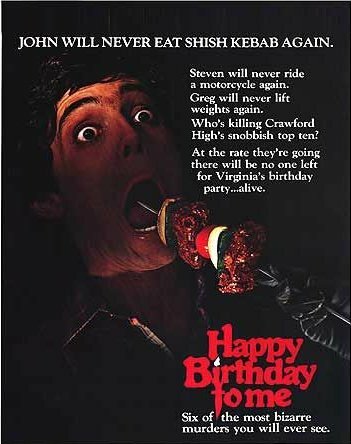 Happy Birthday to Me poster. . Wallpaper and background images in the films d’horreur club tagged: horror movies slashers 1981 scary promos posters. One of my absolute favorite horror movies! This poster is one of my all-time favorites too! I feel really stupid right about now. I thought this was a movie poster tribute to jlhfan...*facedesk* because she has it on her favoritess. I've never heard of the movie.